Pancakes for dessert! 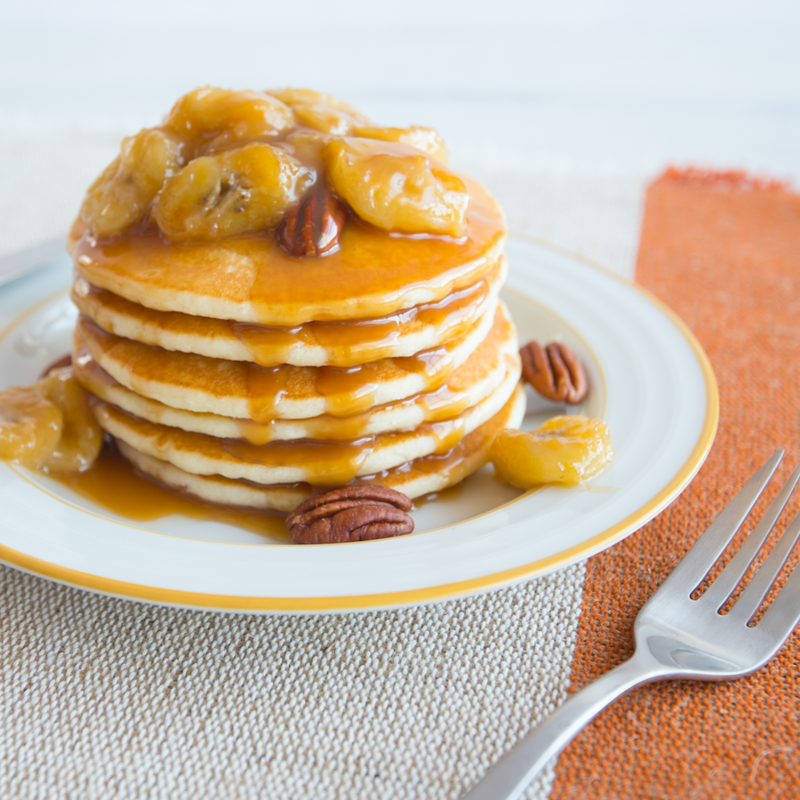 These Banana Foster Pancakes are the perfect solution for your sweet tooth! While the pancakes are cooling, melt butter in a saucepan over medium heat. Add sliced bananas and stir for 2 minutes. Then, add the brown sugar, vanilla, cinnamon, and salt. Lower heat and continue cooking; stirring constantly for 2 more minutes. Lastly, sprinkle in pecans to the sauce and spoon the on top of pancakes, as desired.